Commander of the Primorsk army, Major General I.Ye. 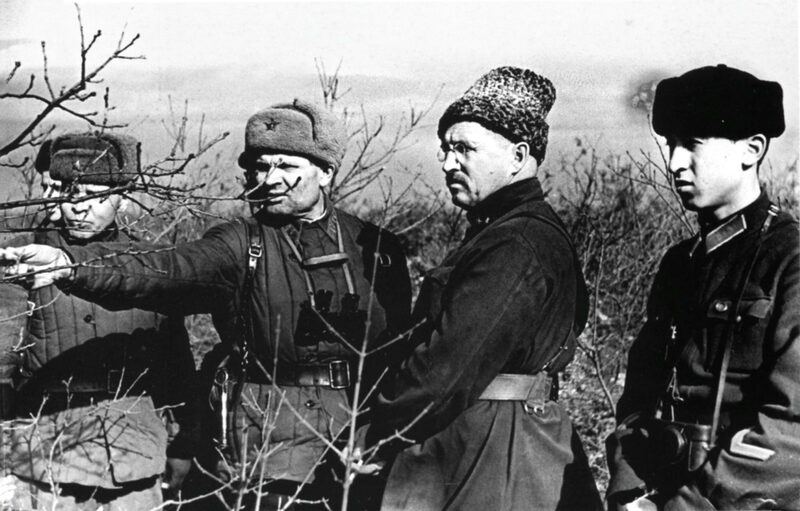 Petrov (second from right) and commander of the 345th rifle division, Colonel N.O. Guz (third from right) on the front edge of one of the sections of the Sevastopol defensive area.